Hello, everyone, Danesa dropping in to wish you a very Merry Christmas! I hope that this holiday season is being kind to all of you. I know it can be very stressful but I hope you are able to take time to reflect on family and friends and all your blessings. Nicole has released an amazingly JOYous Collection at her LilyPad store. 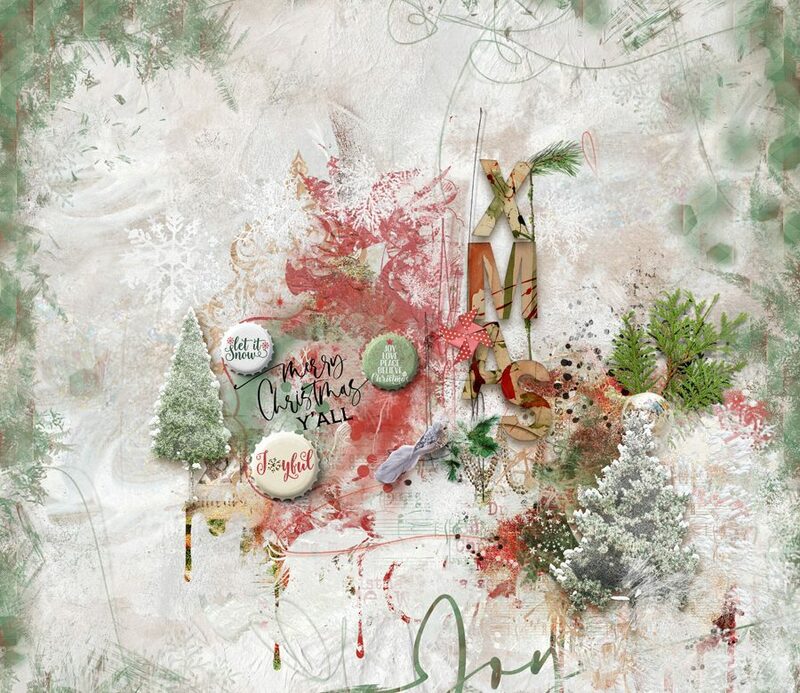 It is full of Christmasy and wintry goodness. I am a huge fan of this Collection and the Artsy Bits & Pieces, I think, are my favorite ever of Nicole’s. Whether you have last minute cards to make, gift tags or getting ready to scrap your upcoming (or previous) Christmas photos, this is a collection you will be thrilled to have on hand to accomplish all of these. Don’t forget that Nicole now has a drop-down menu on her collections that allow you to pick and choose which portions of a collection you want. This is so convenient and makes shopping easier than ever. 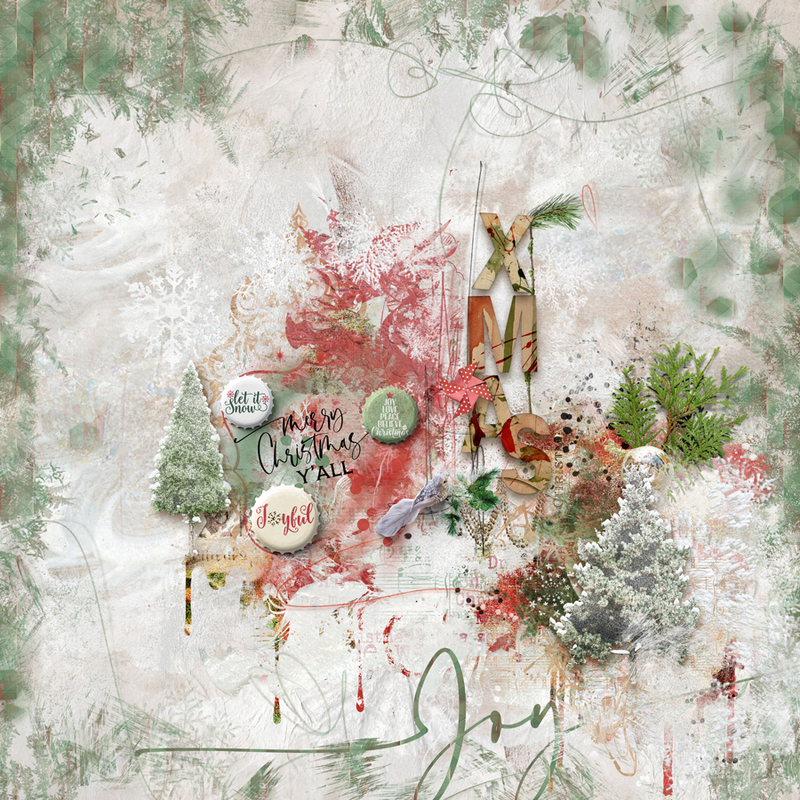 Here is my layout using JOYous.